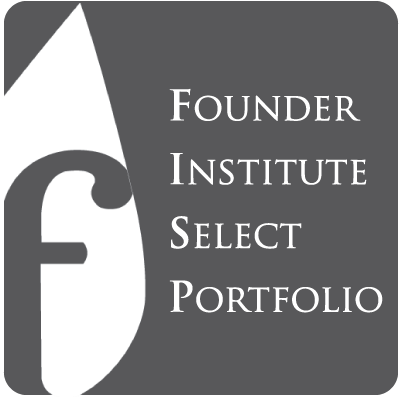 The Founder Institute's Select Portfolio is a designation given to the top 2% of Graduates from the world's premier pre-seed startup accelerator. Among the Founder Institute's 3,500+ Graduates across six continents, the Select Portfolio represents the Elite companies that have demonstrated strong early traction. These Graduates have been hand-selected by the Founder Institute as companies with the utmost potential to quickly scale and grow into an enduring, global business. In order to facilitate this growth, these Graduates will receive special assistance and increased support from experts at the Founder Institute's Silicon Valley HQ, including fundraising assistance, strategic advisory help, office hours, access to special events and partnerships, and more. As part of the Select Portfolio, use the special marketing imagery on your site for distinguished recognition found here. Amidst the noise, the Silicon Valley FI team will help Select Portfolio Graduates focus their efforts and realize their potential. Get syndicated across FI’s Founder Angels email lists, participate in private Virtual Demo Days, and receive introductions to angels in the FI network. Work with FI HQ staff to identify potential partners, advisors, and mentors from the global network, and receive introductions. Get access to private offers from some of the world's top service providers, available exclusively for the best Graduates from FI. Free access to all global FI events (like FounderX) and Virtual Advisory Programs, and receive one-to-one office hours with Adeo and other senior FI staff. Receive assistance on PR strategy, get access to media lists, and leverage the FI's massive email and social reach to promote your initiatives.